The Lord Bishop of St Albans: To ask Her Majesty’s Government what steps they are taking to mitigate the additional cost of heating for rural households not on the gas grid. The Parliamentary Under-Secretary of State, Department of Energy and Climate Change (Baroness Verma): The Government believes that domestic consumers living off the mains gas-grid should have access to secure and affordable fuel supplies to heat their homes. This year’s Buy Oil Early campaign, coordinated by DECC, was launched by the Federation of Petroleum Suppliers (FPS) and consumer groups in September. A similar campaign was launched by the LPG trade association (UKLPG) in October. DECC have worked with the FPS to produce a Code of Practice and Customer Charter, setting expected levels of service provision for FPS members such as the fair treatment of consumers with payment difficulties. DECC have also worked with the industry to provide consumer guidance on setting up or joining oil buying clubs, in order for communities to save money through bulk buying. The Energy Minister intends to hold a third Ministerial Roundtable meeting on heating oil and LPG in the spring, to assess how off-gas grid consumers fared over the winter and whether further action in this area is needed. Energy efficiency is vital when it comes to reducing the cost of energy for off-gas grid households. The Green Deal offers a means for consumers to identify and finance the most effective energy efficiency improvements to their homes, such as insulation and new heating systems. The Energy Company Obligation (ECO) works alongside the Green Deal to ensure energy efficiency measures are supplied to vulnerable consumers. We will be publishing a consultation on the ECO this spring. This will explore how best to incentivise delivery of Affordable Warmth measures to non-gas fuelled households, and include proposals to widen eligibility for the Carbon Saving Community Obligation. In addition we will be considering how best to support non-gas fuelled households as part of our forthcoming draft Fuel Poverty Strategy, on which we will also consult in the spring. DECC also provides additional support for the switch to renewable heating systems through the provision of one-off grants under the Renewable Heat Premium Payments scheme. From spring 2014, this will be replaced by the domestic Renewable Heat Incentive scheme (RHI). The RHI is designed to cover the additional costs of a renewable heating system compared to a new conventional heating system, through tariffs that will be paid over seven years. 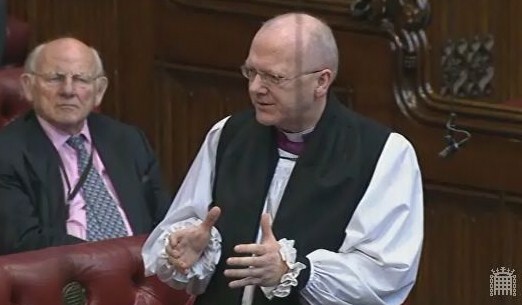 The Lord Bishop of St Albans: To ask Her Majesty’s Government what assessment they have made of the additional cost of housing benefit paid to households moving to smaller properties in the open market and affordable rent housing sectors as a result of the under-occupancy charge. The Parliamentary Under-Secretary of State, Department for Work and Pensions (Lord Freud): Our central estimate remains that this measure will save around £500m per annum. We anticipated prior to the implementation of this measure that some affected tenants could downsize by moving to the private rented sector. This movement frees up social sector accommodation, enabling it to be let to others who may otherwise have been renting more expensive private accommodation.